There are many great reasons why most people today prefer to use their credit cards instead of cash in paying for their purchases. For one, credit cards are a lot easier to carry as compared to cash. You also have limited liability in case your card gets lost or stolen. On the other hand, if you lose your money or it gets stolen from you, you can say goodbye to it forever. In addition, some people prefer to use plastic money so that they can track their expenditures more easily while some are in it to rack up points and collect exciting rewards. There are also some people who prefer to use their cards to save precious time. After all, having a credit card eliminates the need to visit the bank just to get some cash or the need to write checks as they pay for their purchases. Should You Accept Credit Card Transactions? 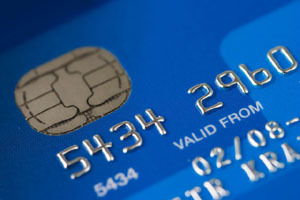 Accepting credit card payments can also be good for your business, as small as it may be. Here are some reasons why. It can increase your revenue. Considering the fact that most people prefer to pay for their purchases using their credit and/or debit cards, offering flexible payment options at your point-of-sale can considerably increase your sales. Credit card holders are known to buy 2.5 times more merchandise, prefer to buy higher margin goods and specialty items and more likely to buy on impulse as compared to non-card holders. It can help you avoid lost sales opportunities. When people want to buy your products but don't have enough cash to do so, they will leave and may never come back. It can facilitate improved cash flow. Aside from allowing you to enjoy a significant increase in sales, accepting credit card payments can also improve your cash flow. The money from your credit card sales will automatically be delivered to your bank so you don't have to wait for checks to clear or send invoices just to collect your money. It can boost the legitimacy of your business. Studies show that the simple act of displaying credit card logos in your place of business can instill a sense of trust in the minds of your customers. It can foster customer loyalty. Providing your customers a more convenient way to pay and minimizing their time at checkout will keep them coming back for more. It can improve your productivity. Since credit card processing allows transactions to proceed automatically, it can ease your administrative duties and allow you to concentrate on some of the more important aspects of running your business. Accepting credit card transactions really makes a lot of sense. Just make sure you choose a reliable payment processing service such as PayMeSecure when you are ready to start accepting non-cash transactions and you will definitely reap all the rewards in no time. Jean McDaniels has owned a quick mart for the past 7 years, but recently took a leap of faith with a food truck business of selling burritos. He has found success with using PayMeSecure’s wireless services to help with credit card processing for his business. Some people look at their cars as status symbols, while others may feel that their car is a machine that provides them with convenience. Regardless of how you view your car, you can use it to make some money. There are several ways to make money on your car, but make sure you do your due diligence before starting. Remember, your car is an investment and just like any other investment you have, you should protect it. Make it a point to get a comprehensive insurance policy that covers your car completely and gives you peace of mind, should you be using it to earn some extra income. You can use your car to start a private taxi service. However, find out details regarding necessary permits and licences for the area; just having a driving licence will not suffice. You can use your car to provide taxi services to tourists on the weekends and double up as a tour guide, or you can even offer the service for weddings, parties and other occasions. As a private taxi service, the options to hire out your vehicle are only limited by your imagination. Check with rentals in your town or city whether they would be willing to take on your car as part of their fleet. This is a convenient option, as you will not have to be behind the steering wheel driving around your car or looking for customers. Instead, the rental agency would take care of it and you would earn a passive income by renting out your vehicle. You also can make arrangements with the rental agency to rent out your car on days when you are not using it. If you always drive your children to school and drive the same route as lots of other children in their school class, how about making some money by becoming the new school bus? You can make money by charging other parents a nominal amount for dropping and picking up their kids. It requires you to be particular about your timing and finding a route that covers all the homes while taking the shortest route possible. If you have a posh and good-looking car, you can make the brand work to your advantage. You can rent out your car to amateur film makers and professional photographers. You can advertise this in the local classifieds and you will be amazed at the response you can get. Many people do not think about this avenue of making money, but it can be lucrative, especially if you get established in this field. As a property professional, I often attend property networking events. Here I get to talk to the whole spectrum of property investors, from the novice landlords just starting out, to the veterans who control large portfolios. When talking to novice investors, particularly those who don’t even have their first investment property, I am often intrigued to find out what is holding them back. Usually, they are highly intelligent individuals. Usually, they have done a huge amount of research about property investing, participate in online forums and invest in property education. And usually they are paralysed by fear, which leads them to taking no action at all! These individuals are always looking for the perfect time to invest, are obsessed with finding the perfect deal and are petrified that if they don’t buy at the absolute bottom of the market, that house prices will fall again, leaving them in a position of negative equity. There are usually two main reasons, the first of which is that they don’t have enough for a deposit. On a typical buy-to-let mortgage, lenders now require a deposit of around 25%. This also severely limits investors from growing their portfolio. The second reason is timing. The novice investor is so worried about house prices falling again in the near future, that they put off investing until they are certain that we have finally reached the bottom. The trouble is, they often then wait and wait, just to be sure the time is right. By then, normally they have missed out on the best deals to be had which have gone to the professional investors, and to add insult to injury now have to pay more for their deposits! My answer to this usually shocks them. You see, the truth is that I don’t buy the property at all. However, I do control it. And I make excellent cashflow from it each month. The strategy is called rent to rent. In a nutshell, what I do is find a struggling landlord and offer to rent the whole property from him as a commercial let. In our contract, I stipulate that I will be permitted to renting out the property on a room by room basis, otherwise known as multi-letting. The reason that I do this is that the rental yield is significantly higher when the property is rented out this way. In my area, I normally pay £800 to per month for a property with 4 double bedrooms. It normally takes me less than a week to find a suitable property. I then rent each room out for £400 per month, inclusive of all bills. After all my costs are taken into account, I usually aim to make £500 per month cashflow from each property that I take over. Now it does cost me around £3500 to refurbish each property up to the required standard, so the first 6 months or so is the break even period. However, after that it’s pure profit! Now think of it this way, what monthly income would you need in order to quit your job? When I ask this question, most people tell me that a £3000 per month passive income would allow them to become financially free. So if we assume I make £500 per property, this would mean that in order to quit your job, you would need just 6 properties. I did this in less than 6 months, so it is certainly achievable. The question is, how badly do you want it? Francis Dolley is the UK authority on this unique rent to rent property strategy and now runs courses teaching students how they can successfully build a portfolio of properties that they don’t own, yet generate substantial cash flow profits each and every month. If you are facing troubles in keeping up with the payments on the multiple debts that you have, you can try out debt consolidation; so that all your multiple debts will get consolidated into a new single loan, with a lower monthly payment, at lower interest rate. 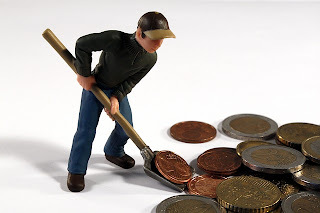 There are two types of debt consolidation loans the unsecured and the secured loans. Unsecured loans do not require you to provide any collateral to take this loan, but you may have to pay a high interest rate. However, in case of a secured loan, you need to keep your house or any other property as collateral. If you can't repay the loan, your property may be taken away by the lender. 1) Reduced interest rate - For the consolidated loan you have to pay a lower interest rate. The most common secured debt consolidation loan is the home equity loan or the second mortgage that you take against your property. As you are putting up a security against your loan, if you fail to pay off the loan, the lender can take away your home without even suing you. 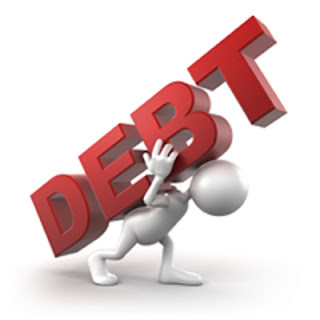 So, secured debt consolidation loans are generally available with low interest rates. 2) Single payment - Instead of making payments to multiple numbers of creditors, after consolidation, you are required to make a single monthly payment in order to pay off your debt. Earlier, payment to one or more creditors could be missed out by you as it is problematic to maintain several creditors at the same time. 3) Lower monthly payment - As your interest rate has been lowered you have to pay lower amount of monthly payment to your creditor. Thus, you will be able to save money. However, it is important to pay off thedebt quickly; otherwise you may end up paying more toward the interest. 4) Get cash within short period of time - With debt consolidation loans, you generally get the cash within a short period of time. 5) Tax breaks - Earlier when you were paying interest to your credit card bills, you were not getting any tax benefits from those. But now, as you're paying interest to your mortgage, this can be used as tax write-off. 6) Helps you improve credit - Once you start making payments after the consolidation, your credit rating will improve as your credit history will build up. Who among us can honestly say that wouldn't fancy getting a Jacuzzi installed in their house or an Olympic sized swimming pool put in their back garden? It would be lovely to add some luxuries to our houses but how will you do it without winning the lottery or receiving an unexpected inheritance from an eccentric uncle? Well, one step is to save money on the basics so that you have more cash for the things you really want. So how can you do this? One of the easiest ways to save money at home is to cut down on your electricity bills. This can be done in a number of ways and perhaps the simplest one is to go online and look for an alternative energy supplier. Apart from this, you could also look at blocking draughts and using more energy efficient appliances around the house. If you want to take the long term view then fitting solar panels to the property can give you free energy for a long time. Another simple idea is to monitor your energy use and therefore be in a better position to control how much you pay out in the future. We all waste energy now and then so controlling you usage makes a lot of sense. If you need to call in tradesmen for every repair you need to do then the cost of keeping your home looking good can soon mount up. If you make the effort to learn how to do some repairs around the place then this can save you cash while also giving you a new hobby. For example, if you go on one of the local plastering courses in your area you can carry out this essential work yourself and avoid paying out a lot of money to plasterers. The same principle applies all across the property and you might be surprised to see how easy some of the jobs which you have been paying experts to do actually are. You might not make a fortune on selling your old things but you will at least make a start on your swimming pool fund while clearing out some spaces as well. By going to a car boot sale and selling whatever you no longer need you can free up some cash which could come in very handy for other things later on. Many of us spend a lot of money on eating out or buying in take away meals. Cutting down on this by cooking at home might not seem like a big deal but the savings can add up over time. If you start to make more of your own food then you will soon see how you can put away more savings in order to finally get those luxuries you have been dreaming of. Category How to budget your finances? We all take payday loans at some or the other time. After all, those cash emergencies can arrive anytime and anywhere. The recent survey shows a higher percentage of people applying and qualifying for the loans. But there are many people who may not qualify for the loans and get disappointed. There could be many reasons behind. Getting these paydays loans is easy, fast and simple but that doesn’t mean that one should take them for granted. One needs to be careful and take the right steps when applying for those loans. If you are able to able to meet the above criteria, then there is nothing to stop you from getting cash. Even those with a bad credit history, are asked no questions. One just needs to fill an online application, give their personal details and wait for getting a confirmation call or an email from the company. There are no documents to be submitted or papers to be faxed. Things couldn’t be simpler than when applying for a payday loan. 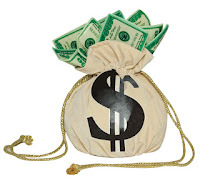 Payday loans can be applied for and get them the very same day. The process is fast and easy, only if you are eligible and qualify for those loans. But sometimes, even people who are legible fail to qualify for those loans. What could have possibly gene wrong? Let us read on and take a look. Many applications for payday loans get rejected because the applicants have not filled in the tight information or have made spelling errors. These mistakes can lead to confusions at the lender‘s end and can lead to cancellation or take more time to get the loan approved. Therefore the applicant has to be very careful when giving the information. 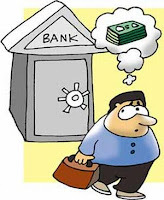 Another mistake made by those looking for loans is to apply for the cash advance with a number of service providers. Those can only lead to more rejections and it is never a good idea to expose your personal information to so many people. Just being eligible for those payday loans is not enough, you need to qualify too. Just keep the above points in mind and get that money you need so desperately in your account. The loan application form takes just a couple of minutes to complete and you can get the decision in just a few hours or even sooner. If everything goes smoothly you can have the money in your account within the same day. You just need to supply the right credentials during the application process and you are sure to get your payday loan. The money will be sent into the bank account you have mentioned and you can take that out as soon as it arrives. Make sure you pay off that loan on or before your next payday. This is contributed by Tanby who works with FastLoanTree. Forex is considered as the largest asset that is traded in the world. Although anyone can trade the forex market now, previously, only the big banks and the large financial institutions with huge capital assets had access to it. It is a very popular trading option where both the risks and the rewards are very high. There are many forex traders who know the tricks of making huge profits without risking a single penny. 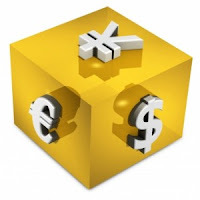 The demo currency trading accounts are many kinds and they operate in many ways. Although they operate like live funded trading accounts, they carry fake balance. Whether you’re an individual or a bank or hedge fund company, you have to make sure that you create your demo account. Here are some steps to follow. Identify a trustworthy broker: Your first task would be to identify a broker who provides such demo account services. Normally, a trader should always choose a broker who offers you with features that you would actually love to use while funding your real account. Although most brokers offer demo currency trading accounts, you should always choose the one that has your best interests in mind. Click on “free demo account”: When you work with your online broker, your next job is to click on the link that says “open a demo trading account” or a “free practice account”. The other information must be given within the website of the broker. Fill out the sign-up form: Fill out the form that is given in the demo account registration page. Make sure you give them the right e-mail id that you’re using so that they can mail you the status of your demo account registration. Also provide them with your contact number so that they may find it convenient to call you and give you all the login details. Wait for the information: Within this time, you need to wait for the information to arrive at your mailbox. You may also get a call where the agent will tell you details of the ways in which you can log in to your demo trading account. Log in to the page: After you get the details of the username and password, you should log in to the page and create your demo account. Start trading the online currencies through this account. So, if you’re new into the forex market and you want to know the details on how to create a demo account, consider following the steps mentioned above. Tips for managing finance during natural disasters. When Hurricane Katrina wreaked havoc along the Atlantic Coast, particularly in New Orleans, the whole world saw what followed. Shocking images of homeless people, widespread looting, hunger and total chaos made a lot us rethink our preparedness to face such a situation. Many of the survivors of natural disasters have often wondered if surviving the disaster was really such a good thing or not. The situation is especially difficult for those who already have a mountain of debt or are living from paycheck to paycheck. One never really thinks about financial preparedness to face these situations. Most of us know how to hide or reach help, store food and other basic survival stuff. But have we given serious thought to the morning after? If you haven’t then here’s how you can prepare for such an emergency. Have a fireproof and durable box to store important documents, and be sure to take the box with you when you evacuate. You need to have a copy of your drivers’ license, residence proof, Social Security Card, marriage, birth and death certificates, your insurance policies and bank papers, wills, deeds, tax records, photographs, important phone numbers(like insurance companies) and a document listing all your major valuables which will help in insurance claim. In your budget, make a provision for ‘Emergency Fund’. Perhaps you can open a separate bank account for this purpose. Be sure to regularly contribute to this fund, so that in the case of a natural disaster, you have sufficient money for your immediate needs. 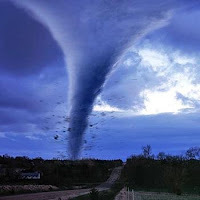 Make sure you are sufficiently covered for floods, tornado, hurricane, volcano, and the insurance is up to date. Be careful to whom you divulge your social security number; ensure the person is genuine. Consult a consumer credit counseling service to get help with regular monitoring of your credit, and protect yourself against identity theft. If you have had to move, be sure to provide all your creditors, insurance companies and the like, your new address. Include 'Disaster Victim' on your credit file; credit companies make concessions for people like you. Be in touch with your bank to ensure an active account, adequate checks, and update your information. If the situation has still not improved, but the credit concessions have ended, you can contact your creditors, with the credit counseling services as mediators, to renegotiate a debt management solution. Find out about Employee Assistance Programs from your employer and utilize all resources you can. Find out if there are special job considerations for disaster victims, from your state’s employment commission. You can also register for victim benefits with the Social Security Administration. This is a guest post by Tina Reeves of buyVerizon.com, a site that offers savings and current information on Verizon FiOS. Payday loans are a better option than the bank loans and other options to recover from your not so good financial situation. While you want to enjoy the benefits, there are few things to ensure that you are not fooled by the scam companies in the market. While you are on internet, just check the reviews given by the fellow borrowers and other experts. There are many forums and websites, which hold the information and reviews regarding the payday loan lending companies. You can check it out to know few of the best lending companies. The fast cash payday lenders are now providing service for the customers through their official website; you can submit your application for loan through it. But, this is the only medium through which you supply your personal details, you must check if the site is secure or not. Does the company have a valid License? To check the legitimacy of the lending company, it is a must to ensure that the company has a valid Consumer Credit License. This is so easy to check. Just check the bottom part of the lender’s website. Most companies would have specified the details about their certification. It is a Law to disclose the License information to the borrowers. If the company does not have a valid license, then it is probably a scam company. If you have any doubt regarding the loan and if it is specific to a particular lender, then you can contact them through e-mail or call them for inquiry. You can even chat with them live. They would be ready to answer all of your queries. 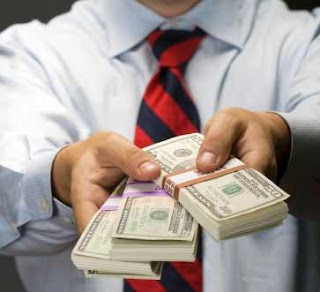 For a smooth application, processing and approval of the payday loans, you need to find the best lender in the market. By following the above tips, you will definitely be able to find the most genuine one. If you do not have your own resources for finance upcoming academic expenditure and planning for obtain a loan to arrange necessary finance, then government funded student loans could be the most suitable choice, because of its much lower interest rate than any other private lender. Federal government usually sanctions this loan with an objective to help the students and so funded the amount from Finance Aid Program. Since July 1, 2020 that all loans have been distributed through Direct Loan Program and private lenders have no longer role in processing these loans. So, you should be cautious before approaching to those agents or private lenders offering guarantee to obtain a federal government provided loans for you. You can visit durect.ed.gov to get detail information about various offers from such loan program and also visit fafsa.ed.gov to know detail information about the procedure for applying student loans from Federal Government’s Direct Loan Program. Free Application for Federal Student Aid (FAFSA) is intermediary online service acting like government appointed agent to process loans for bad credit applications. Applicant’s mainly use their service to apply government funded loans and you can get detail list of supporting documents required to submit along with the filled up prescribed application form. You also download application form this site. You could also find many banks, large finance lending organizations and other private lenders in the market offering student loans at different interest rates, but their interest rate is much higher than government provided loans. They also have some basic and common eligibility criteria for apply to them. You must have to be an US citizen, permanently resident of any state of USA, have a reasonably good credit score, fixed source of monthly income and a bank account active for last six months. These regular lenders of the market also require you to submit various supporting documents along with the main application form. On the other hand, you also could find many internet based lenders in US offering student loans. They do not require such formalities of manual application submission and providing supporting documents. You can easily apply to then through fill up online application form on their web page and submit. But, it is advised to shop as much as possible to find out most suitable lender with competitive interest rate, if you decided to obtain such loans from any online lender. Why was my credit card revoked? How can I undo it? How Real Time Credit Card Processing Works? How to budget your finances? Copyright (c) 2011 All Finance Discussion.